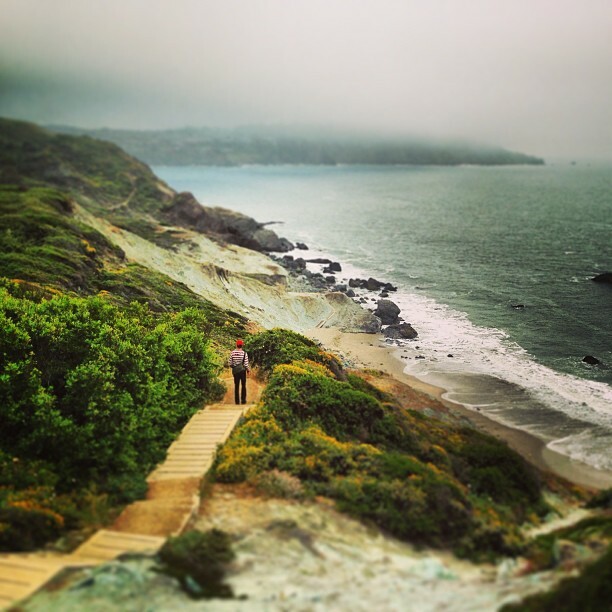 San Francisco offers more chances to get outside and enjoy nature than you might expect. There are outdoor activities and adventures that suit travellers of any age or fitness level. 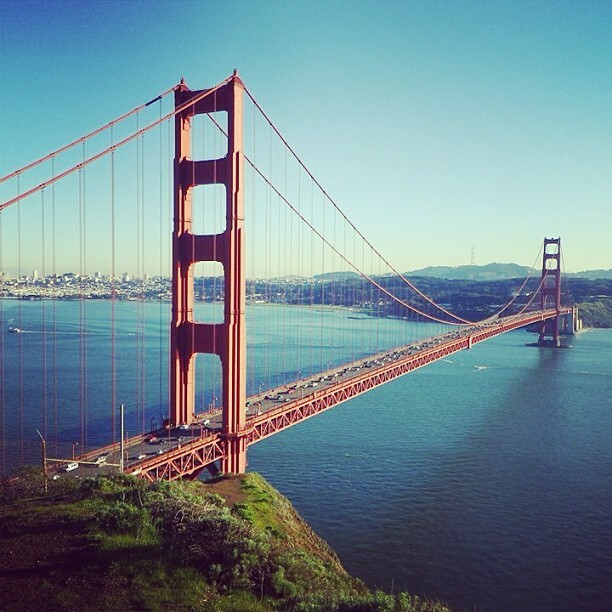 In fact, some of the most beautiful natural views of San Francisco are right within the city limits! There’s no better way to experience San Francisco than from the Bay. The geography, location, and waters that surround the city have defined and shaped San Francisco since its beginnings. The strong winds from the Bay, the cool chill, and the ever-present fog create an atmosphere quite different from the rest of California. While cruising the Bay you’ll have beautiful views of two of the city’s most important landmarks: the Golden Gate Bridge and Alcatraz Island. Cruises on the Bay run the gamut from slow ferry rides to Alcatraz, to high-speed powerboat rides, to wind-whipped sailing cruises. Regardless of how you choose to travel, getting out on the water is one of the best outdoor activities in the city. Large cruise ships pass under the bridge too! Angel Island is just a short ferry ride from San Francisco. It offers unparalleled views of the city, Marin County, and Mt. Tamalpais. The island is a treasure trove of historical remnants, mainly old forts and military outposts; however, the main highlight of the island is witnessing over 700 acres of natural beauty. Hiking and biking trails are abundant, and the island is lush with native flora and fauna that are sure to impress anybody visiting! If you want to get out of the city without actually getting out of the city, Golden Gate Park is the place to go. As the largest man-made urban park in the world, Golden Gate Park offers a refuge of nature in the midst of San Francisco’s urban craziness. Covering an area of 1.5 square miles, the park is large enough to completely isolate you from the hustle and bustle of the city, and surround yourself in a beautiful and diverse natural environment. Some fascinating points of interest in the park include: the elegant, exotic beauty of the Japanese Tea Garden; the solemn National AIDS Memorial Grove; the family-friendly Strawberry Hill and Stowe Lake; the haze of Hippie Hill; and the randomness of the park’s buffalo herd. For anyone looking to spend some casual time outdoors in San Francisco, Golden Gate Park is a must-see. Who says rope swings are just for kids? These cool swings are located at the top of Billy Goat Hill in Noe Valley. The rope swings arc out over the edge of the hill, and give those brave enough to try them a chance to watch the ground drop out from under them — an added plus is that you’ll have excellent views of the city. If you happen to be in the neighbourhood at nighttime, this would be a fun activity as the views of the city lit up at night are absolutely stunning! Think taking a cruise out on the Bay sounds fun? Try paddling out there. This is a great activity for people who want to go on an adventure and be more involved in an activity. Kayaking on the Bay is an exciting and beautiful way to really get up close and personal with the waters around San Francisco. Paddling out to watch a Giants game is always a fun evening activity — it’s not unheard of for kayakers to occasionally catch home runs from their perches out on the water. If you want to get a little farther outside of the city than just the waters of the San Francisco Bay, you can rent kayaks and paddle around Angel Island, Sausalito, Tamales Bay, and tons of other locations in the areas surrounding San Francisco. Just a short trip north of San Francisco exists an idyllic, beautiful grove of ancient old-growth Coastal Redwoods. The famous Sequoia trees are a popular stop for nature-lovers and those looking to do some photography. Although the easily accessible parts of the park can get crowded, there are plenty of trails you can take that offer a chance to appreciate the beauty of Muir Woods with a little solitude. As the highest point in Marin County, and a prominent feature of the skyline north of San Francisco, Mt. Tamalpais — or Mt. Tam to locals — is a landmark for anyone with an inclination towards outdoor recreation. Mt. Tamalpais State Park features over 100 miles of trails and roads suitable for mountain biking and hiking, and offers gorgeous views of the city. Whether you want to challenge yourself by hiking to the top, or enjoy a leisurely stroll and find a picturesque picnic spot, an afternoon spent enjoying one of the most popular outdoor spots in the Bay area is sure to be a highlight of any trip to San Francisco. Fort Funston is another popular hiking destination, with wind-swept views of the beach and a large network of trails. The trails around the fort are popular for hiking and horseback riding. The loop trails around the fort are generally fairly mellow — perfect for people who want to enjoy some outdoor scenery without trekking up too many steep or difficult hills. Looking for a bit more of a challenge? You can try hiking down some fairly strenuous trails to the beach. Bird watchers will appreciate the colony of bank swallows that nest in the towering sandstone cliffs nearby. These birds, once prevalent in the area, are now endangered, and the cliffs near Ft. Funston are one of only two known coastal nesting sites. Ft. Funston is also a great glimpse into San Francisco’s history — not just because of the military history contained there, but also because the nearby sand dunes are the last remnant of a dune system that used to cover much of the Bay area. Despite all of its hills, San Francisco is a pretty popular city for bicycling. If you want a cheap way to get around downtown while enjoying the weather, renting a bicycle is the way to go — just be aware that you’ll be riding up and down a lot of San Francisco’s infamous hills. Guided bike tours are also a great way to get to know the city — plus, the guides know the best routes to minimize the leg-burning impact of the hills. For the more adventurous types, mountain biking is huge in Marin County. In fact, you’ll often hear Mt. Tam and its surrounding areas referred to as the birthplace of mountain biking. Although people were riding bikes on mountain trails before it became popular here, it was at Mt. Tamalpais that mountain biking enthusiasts pioneered modern materials and innovative ways of adapting bikes to the rigors of mountain trails and made the sport what it is today. San Francisco has a very different beach culture from Southern California — you won’t find too many people lying out in the sun. In fact, you’d be lucky to find sun on most of the beaches in the Bay Area. For the most part, chilly temperatures and dangerous currents rule out swimming at the beaches. Still, San Francisco’s beaches offer their own unique charm (not to mention easy accessibility from the city!) and are well worth checking out. Baker Beach, Ocean Beach, and Land’s End are all easy to get to from the city, have great scenery, and offer a little breather from city life.